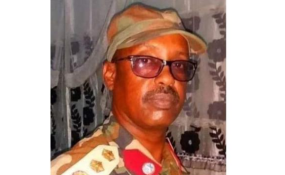 Col Abdisalam Adan Kurjow was the Deputy Commander of Somali National Army's 12 April Battalion. Col Kurjow was the Deputy Commander of SNA's 12 April Battalion. Mr Abdulle said that the blast also killed another army officer and a bodyguard. "Investigations into the causes of the blast are ongoing," said the deputy commissioner.